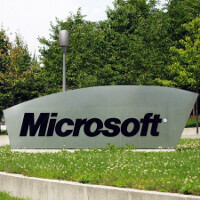 New Microsoft Surface Pro to launch with Surface mini? On May 20th, Microsoft is expected to introduce the Microsoft Surface mini. This is expected to be a Windows RT powered 8 inch slate, powered by a Qualcomm processor, that will come with a digital pen and focus on message taking. In addition to the bite-sized version of the Surface, there is speculation that Microsoft will also introduce the third iteration of the Microsoft Surface Pro on the same day. A new report on Friday confirms earlier talk that on May 20th, Microsoft will be unveiling at least one tablet powered by a Intel processor. One source claims that this mystery tablet will feature a powerful Haswell variant of Intel's silicon, instead of the Atom version (like the Intel BayTrail). With that in mind, we would expect to see the Microsoft Surface Pro 3 see the light of day on the 20th, along with the Surface mini. Consider that the Microsoft Surface Pro 2 is powered by the Intel Core i5-4300U, which is a Haswell variant. Outside of the rumored Intel CPU, no specs have leaked for the rumored Surface Pro 3. Besides being powered by the Intel Core i5-4300U, the current version offers a 10.6 inch screen with resolution of 1080 x 1920, 4GB of RAM and as much as 512GB of storage. I'd argue the Pro-version needs to be much lighter, thinner and with comparable or better battery life to be considered a worthy upgrade. I don't know of any technology currently on the market to make that a possibility. Dedicated graphics would be a plus. They should just remove the desktop mode from RT at once and push the developers to go full-touch friendly interfaces.. It's only there for office. Oh and I guess the file manager lol. Hit the nail right on the head. The price of the Surface Pro is absurdly high. Microsoft should ditch the Surface RT models and reduce the Surface Pro 2 to $499 for the 64GB model. That would give the world a reason to care about Microsoft tablets. I agree that the price is too high, but $499 is pretty unrealistic. Even starting at $999 would be a great deal. And battery life? Not to mention your comparing a laptop that has off the shelf parts to one that is custom built. Though custom laptop is somewhat arguable. The laptop you describe has about 4hrs of life in power saver mode according to users who have left reviews on it. The Surface 2 has shown that it can do 5 hours of streaming Netflix. In the end, the 128gb model which is more on par with what you are comparing it to in terms of HDD space is 1k vs 1800. Also portability, at 4.36lbs the laptop is no lightweight imo when compared to the surfaces 2lbs. Also the surface imo is much more portable as well. In the end you could spring for the laptop, but the touch tablet (as far as I know the laptop you gave is NOT touch), is a better compromise for people in the sub 14in market. It had better be expandable to 16GB RAM as well, then. The current Surface 2 Pro is a crippled POS with 4GB unless you get the pricier models with more storage and 8GB RAM. And 8GB is really the minimum RAM for anyone who really uses their computer for doing a few things at once. You can't, but is there a reason you couldn't? The Surface Pro uses an x86 processor. By my understanding, and I could be wrong, wouldn't expanding RAM be as viable as doing it in a laptop or desktop? Is RAM in x86 tablets different in some way that it absolutely couldn't be designed to be expandible? Microsoft could have made RAM expandable on any of the Surface Pro models, i.e. added a small access panel which exposed two SO-DIMM slots. Not only would this have made the Surface Pro tablets more affordable, it would have also let people do more with them simply by adding two 8GB SO-DIMMs. The idea of the Surface Pro appeals to me. But I will not buy an underspec unexpandable tablet for an absurdly high price. Your definition of "Premium" seems quite limited. A company with good design chops would figure out how to elegantly integrate memory expansion into the design. 8GB minimum? What are you trying to do on a tablet, any tablet that would require use of 8gb minimum? At that point switch to a desktop. Games don't even use that. Currently my desktop has 4gb, I can run multiple IE sessions, Visual Studio, Blender 3D, and other apps all at once without to much problems. This is far more than I would put on any tablet or laptop at once with such small screen estate. I could see your need if you absolutely need to replace your pc completely and having your surface as our sole pc/tablet with nothing else. But really it is just whining imo that is, no hard feelings but seriously no other tablet lights a candle to what this can do. My desktop has 64GB RAM and my notebook has 16GB. If I want to use a Surface Pro tablet as a notebook replacement, then having 16GB is important for me. I sure don't want to carry around a tablet and a notebook. With a i7 I would buy one, but the Sony and Samsung version look sexier "especially the Sony one looks stunning"
With any new Surface product, consumers will be lucky to see performance, features and usability under $600 for any high spec Surface with a full Windows 8 experience. HP has much better tablets, hybrids and laptops. I love my "HP Pavilion x360" and "Pavilon x2 11" under $500 for me. Stupid MS. Change display ratio. 16:9 is for big monitor and tv. And stop self-oem. You are not hardware company. JJ is not jealous. But all of Microsoft's Windows hardware OEMs look at Surface with anger and a sense of betrayal.